I wasn’t planning on attending a writer’s conference this year, but sometimes God parts the Red Sea when least expected. A huge thank you to my hubby for encouraging me to go and holding down the fort with all five kids while I attended the Speak Up Conference again this year. What a treat to be around like-minded speakers and writers, as we spent three days learning together in Grand Rapids. 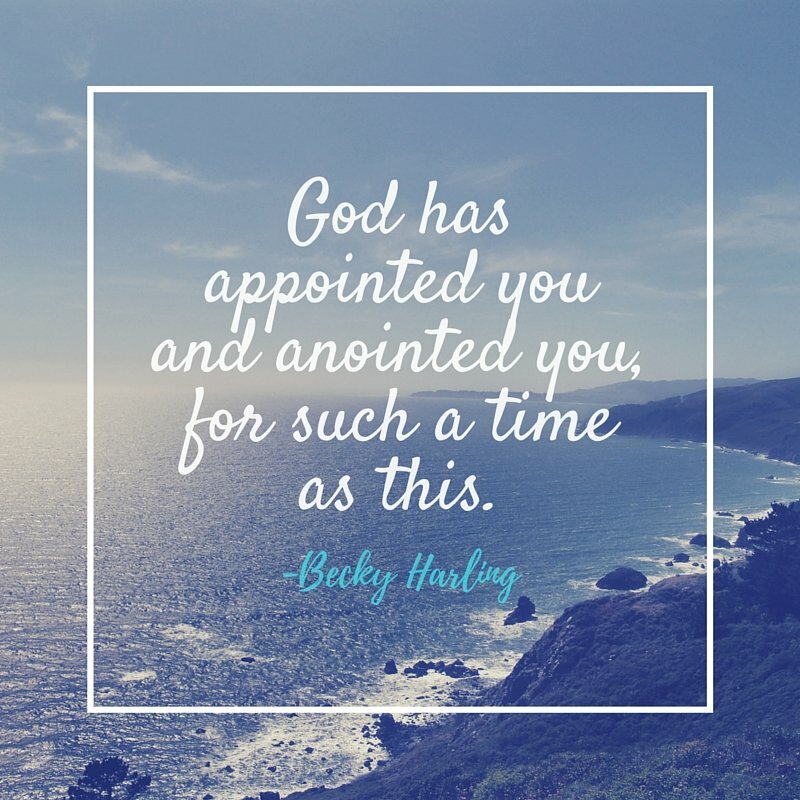 Becky talked about the difficult yet exciting times we live in and how we’ve never been better positioned to share the gospel globally than we are right now. On Saturday morning the lovely, Robyn Dykstra, encouraged us to press on even when our calling is confronted with obstacles that look impossible and stinky. You can watch a portion of Robyn’s talk here. It was a delight to sneak in some quality conversation with my friends, Kate and Asheritah, on Friday night. We had fun doing a Facebook Live video for a surprise addition of #WeWrite. You can watch the video here and learn more about Kate and Asheritah’s upcoming books. My 15 minute appointments went well, and now I have a lot of work ahead to get my proposals in tip-top shape before I send them off to publishers. I am hoping to soon be represented by a literary agent to help me navigate the publishing world. Would you join me in prayer for God’s timing and provision in this area? Hospitality: The Speak Up Conference team does a great job of making you feel welcome. Each attendee is prayed for by name and sent an email from the prayer team with a special verse of encouragement. The conference is well organized and hosted in a lovely facility. From the first general session, you will be invited to step under the umbrella of grace and make yourself at home as you glean and grow. Accessibility: I have been to several other writing conferences where it feels like the speakers are somewhat inaccessible to the attendees, but not at Speak Up. The faculty and staff are available to attendees, and committed to making them feel special and seen. In the Writer’s Track you have the opportunity to participate in 15-minute appointments with editors, agents, and authors. At another conference I met with two editors, but at Speak Up I met with five and then talked with another one during one of the breaks. Networking: Last year I was connected with one of the conference staff through a mutual friend. Little did I know that this connection would turn into a treasured friendship. At Speak Up you will have the opportunity to connect with other speakers and writers from around the country. One of the highlights of this year’s conference was connecting with the delightful Debbie Roth. She is a part of our Stop! Hammock Time Periscope community and it was so fun to meet her in person and laugh together. Training: Many breakout sessions are offered for both the Speaker’s and Writer’s Tracks. What a treat to sit under the expertise of talented writers, like Lorilee Craker. I learned how to write with the five senses more effectively, to pursue God’s heart over platform, and to persevere in my calling—for such a time as this. Affordability: Many people do not attend conferences because of the cost. However, Speak Up, is one of the more affordable conferences out there. Once you have attended, you receive a $1oo discount, as an alumni. There are usually a limited amount of scholarships available as needed. We hope that you will attend the Speak Up Conference next year! P.S. Learn more about the Speak Up Conference via their website. P.P.S. 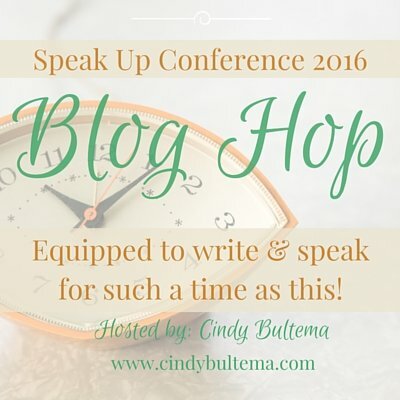 Linking up with Cindy Bultema’s Speak Up Blog Hop and Kelly Balarie’s #RaRaLinkup. Katie, I’m so glad you were able to get away and attend and it sounds like an amazing experience! I need to look into that one for next year. Thanks for sharing! Yes! That’s it! The conference left me feeling encouraged and energized when I could have felt overwhelmed and out of my league. Great post! That is great Carissa- so glad you were encouraged and energized! Nice recap, Katie! I’m so glad I got to reconnect with you, and hope that the ’16 conference will prove to be a profitable experience for you! Thank you sweet Shannon. Always a treat to chat with you. Thanks for your wisdom and encouragement—a gift! Very inviting recap! 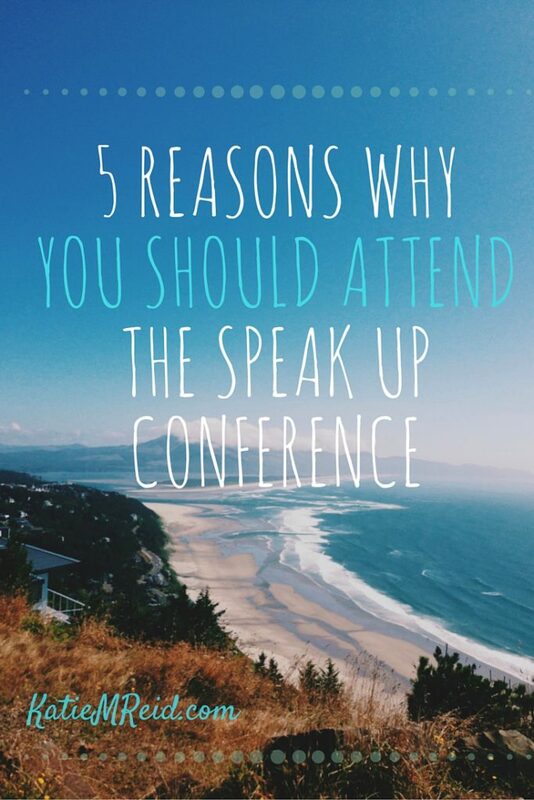 I will refer others to checkout the top 5 reasons to attend Speak Up! I know it has been life changing for me.